In the case of natural disasters, armed conflicts and comparable situations, rapid action is usually required. Aid goods such as medicines, food, drinking water and tents must reach those affected as soon as possible. Since transport to many areas cannot be carried out by lorry and ships cannot be on site fast enough, air transport is crucial for humanitarian aid in many crisis regions. After all, for long distances, there is no faster means of transport than the airplane. Following severe natural disasters or armed conflicts, the local infrastructure often collapses completely, making many areas inaccessible or very difficult to access. A tsunami in Thailand, a cholera epidemic in Haiti, a hurricane in Puerto Rico, floods in Peru – to provide people in need with medicine, food, fresh drinking water and temporary shelter often is only possible via air supply. 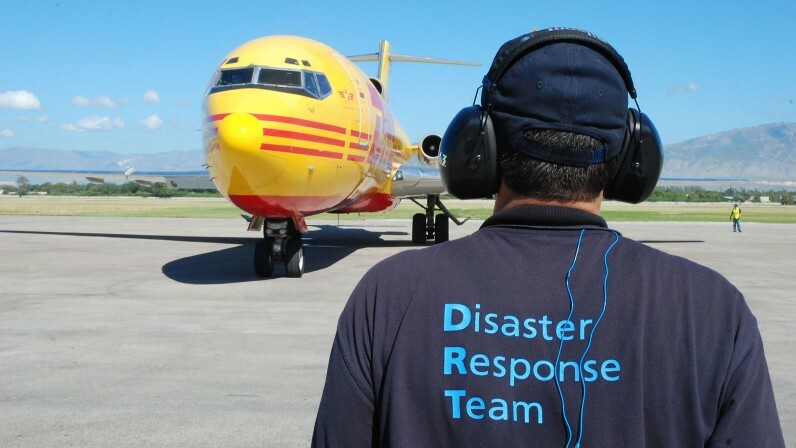 In addition to intergovernmental and nongovernmental organizations, air carriers also make a major contribution to supplying those affected in disaster areas. They not only bring aid workers to disaster areas but also transport urgently needed relief supplies by air to crisis areas. In conflict or disaster areas that are so unsafe that civil aviation cannot operate there, relief flights are carried out by the United Nations Humanitarian Air Service. For other circumstances, civil airlines and airports are also integrated into the aid network. In the process, they work closely with partners such as Aviation without Borders and the Red Cross. As part of this cooperation, they carry out passenger and cargo flights – both in the immediate crisis situation and during the reconstruction phase. At the end of September 2017, almost three million people in the Caribbean city of Puerto Rico were hit by Hurricane Maria. Houses were completely destroyed, telephone lines were cut and the power grid collapsed; drinking water was also scarce. The Disaster Response Team (DRT) of Deutsche Post DHL Group was on site to coordinate the international aid shipments. They unloaded aircraft pallets, stored relief supplies, inventoried them and ensured that they were handed over in an orderly manner to the relief organizations in the disaster area. The DHL team participated in the relief operation for three weeks and ensured that the hurricane victims could be supplied with urgently needed goods. 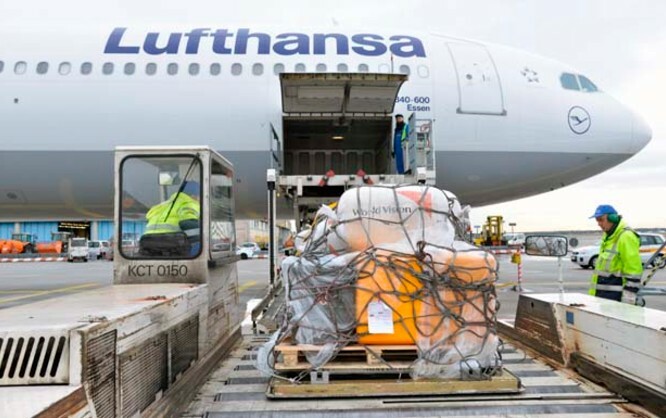 Lufthansa Cargo is the logistical backbone of numerous aid organizations. For example, their cooperation with the German Red Cross allows them to transport medicines, drinking-water treatment plants and other relief supplies at short notice to places in which they are urgently needed. Shortly after an earthquake in Haiti, Condor supported the Aviation without Borders organization by initiating relief flights and delivering urgently needed supplies such as medicines, tents, blankets, baby food, etc. to the Haitian capital, from which they were transported to the suffering people in the disaster areas. In March 2017, Peru was hit by dramatic flooding. Many Peruvians became homeless due to the persistent storms and had little access to fresh drinking water. Fraport AG reacted promptly, together with its Peruvian subsidiary Lima Airport Partners SRL, and sent 25 water-filtering containers to Peru via air freight, each of which could process up to 1,200 liters of drinking water per day. The containers supplied almost 10,000 affected people daily with 30,000 liters of clean water. During the Ebola epidemic in West Africa, Lufthansa, together with the German government, provided the special aircraft Robert Koch, which was able to fly Ebola patients and infected helpers out of West Africa and treat them right away in the air. For this purpose, the Airbus A340-300 was equipped with the latest medical technology and a special isolation unit. The Cargo Human Care project has emerged from a cooperation between Lufthansa Cargo employees and doctors from all over Germany, bringing medical aid goods to places in which they are urgently needed. The project is supported by Lufthansa Cargo and Fraport, among others.